get colds, flus, or earaches frequently? have tummy aches, diarrhea or constipation often? seem hyperactive or have a hard time focusing on a task? If so, acupuncture or laser acupuncture and Chinese herbs can help. As a parent, it’s difficult to watch your child be uncomfortable and unfortunately, many times pediatricians that there is nothing you can do about things like teething or frequent ear infections. Not being able to make your child feel at ease can make a parent feel helpless and may cause undo worry. 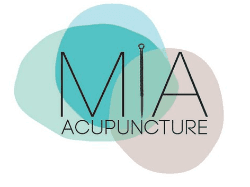 This is where MIA Acupuncture can help! Laser acupuncture, the most commonly used alternative method for infants and toddlers (and people who are needle-phobic) uses a cold laser, is needle free, painless, and highly effective.